This is a beautiful cake! It’s a lovely selection to add to your dessert choices during this holiday season. The recipe is surprisingly easy, filled with colors, and extremely irresistible! The peaches and blueberries go perfectly together and add great taste. 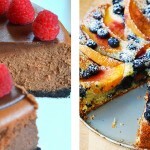 Each slice is filled with fruit and soft delectable cake. Sprinkle some powdered sugar on top of the cake to add a little extra sweetness and a beautiful presentation. 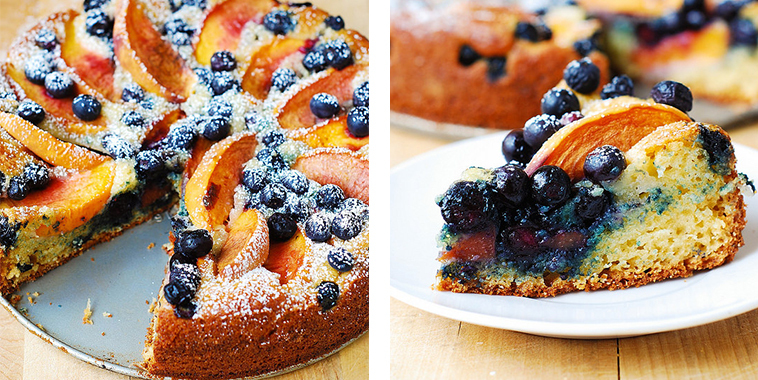 Just imagine a slice of this peach and blueberry cake paired with a cup of tea or coffee. Simply delicious!